“I think she should either resign from Congress or she should certainly resign from the House Foreign Affairs Committee,” Trump said of the freshman lawmaker. Omar apologized on Monday for suggesting that U.S. support for a Jewish state is the result of money flowing from the American Israel Public Affairs Committee, an influential pro-Israel lobbying group. The comments were quickly condemned by Speaker Nancy Pelosi (D-Calif.) and other Democratic leaders. “I think she should be ashamed of herself,” Trump told reporters aboard Air Force One. I haven't commented on this latest controversy because it strikes me as 1) a case of someone just not understanding certain antisemitic memes 2) a case of phony right-wing pearl clutching as payback for the criticism of their fascist race-baiting congressman Steve King and 3) a case of poor understanding of twitter which every government official who uses it should learn. But Trump getting involved is just too much. 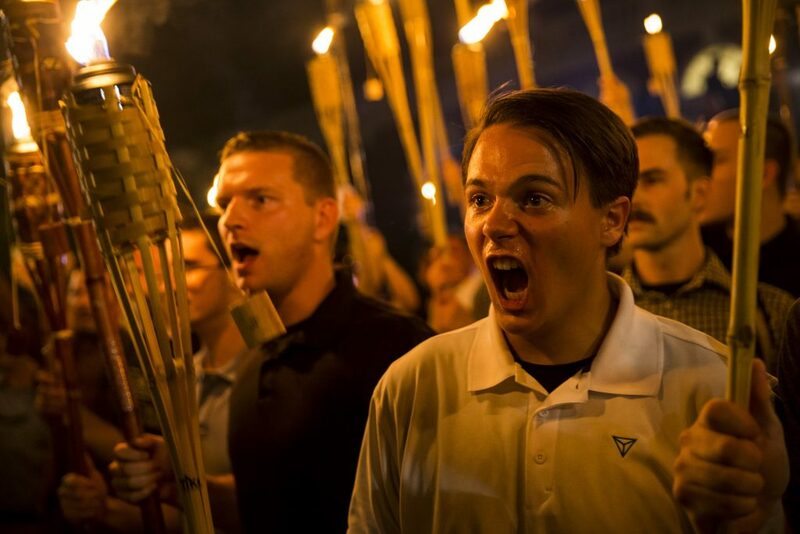 He is, after all, the guy who said that some of those who marched with torches chanting "Jews will not replace us" were very fine people. Yes, Ilhan Omar walked into an anti-semitic trope by quoting a famous rap lyric that has a certain meaning in this context. It's an unforced error by a green politician who otherwise has a respectable point of view about AIPAC's influence on politics. [L]eaders should understand that their words carry historical baggage. Accusing a largely (though not officially) Jewish organization like AIPAC of buying politicians is different than accusing the NRA or the drug industry of buying politicians because modern history is not replete with murderous conspiracy theories about how gun owners and pharmaceutical executives secretly use their money to control governments. That doesn’t mean it’s illegitimate to talk about AIPAC’s fundraising, any more than it’s illegitimate to talk about O.J. Simpson killing a white woman. Given the toxic stereotypes that such discussions evoke, however, they must be handled with care. Omar apologized and it was not lame at all. It was in her words "unequivocal." Enough. The big picture is this. In today's politics you just have to be aware of these cross-currents. You must be thoughtful, not just about the point you are trying to make and what informs it, but how your way of expressing it will be received by the wider audience and those who have historically been stereotyped in a particular way. We are living through a process of reorientation of how we talk to one another --- and a process of recognition about how we think of one another. Some Democratic politicians have a good instinct for how to express this (AOC is a good example) and others have a bit of a learning curve. You can say anything you want and fight it out on social media if you are an average citizen (or Trump.) But Democrats, who all represent a diverse coalition, must master these rules on social media. This is one of the main cultural war battle lines of our time and much of what fuels our polarized politics. The right is fighting this reorientation with everything they have. And the liberal coalition is going through an evolution as well, as they discover fault lines they may not have been aware of. Again, none of that is to suggest that you cannot talk about the fact that AIPAC influences America's policy toward Israel and Palestine. Of course it does. And even more influential is the vast conservative evangelical bloc which is fanatical in their support for Israel for its own reasons. Opposing these policies is completely legitimate. This is America. But everyone in the Democratic coalition has to be thoughtful about how they talk about these things, especially in the face of the cretinous red-hatted right wingers for whom racism is their organizing principle.